I suppose as a website dedicated to craft and design you tend to forget that many people are new to these crafts and have yet to delve in to the details of how the craftsmen create the pieces. It’s nice seeing objects from a distance, admiring their form and simplicity, but to understand the time and skill needed really changes the object and how they are perceived by the viewer. The video below is really brilliant from Taylor Hawkins, a filmmaker based out of Seattle, Washington. 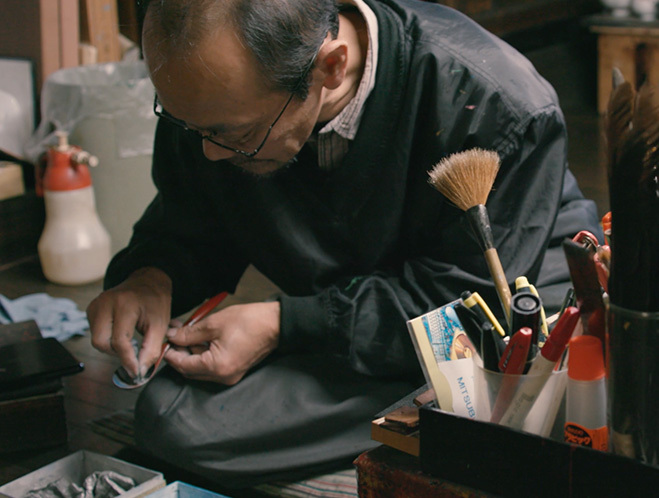 His video explores the lacquer craftsman of Aizuwakamatsu in Fukushima Prefecture, Japan. This location is home to some brilliant craftsmen committed to the art of urushi and here we get a glimpse of their craft and how they go about making the works. One thing that I have to commend Taylor and the team that worked on this project is showing the different stages of the process, from turning the wood to applying the lacquer and detailing. In such a condensed film it gives you a sense of the link to nature that this craft has the enduring fascination that these craftsmen have with it. The video is embedded below, I’m sure you will enjoy it.